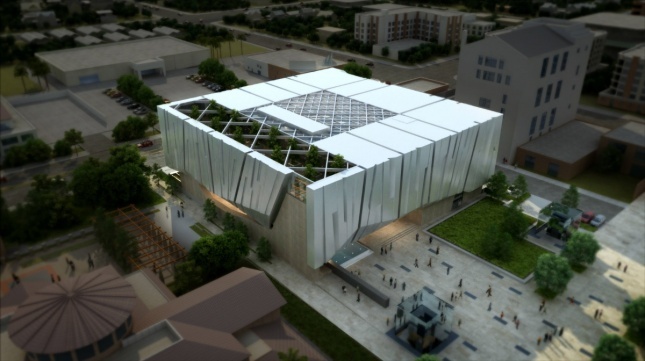 The monolithic Armenian American Museum (AAM) in Glendale, California, is officially a step closer to reality after the Glendale City Council voted to approve the current design on April 17. 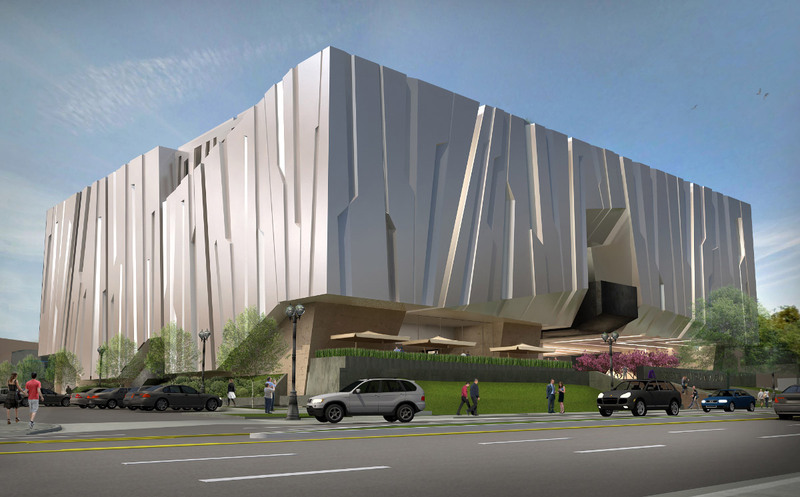 The nearly 60,000-square-foot museum, massed as a dramatic cube that upturns above the building’s entrances, was designed by Glendale’s Alajajian Marcoosi Architects (AMA). The heavily engraved facade simultaneously references both Mount Ararat as well as the Verdugo Mountains surrounding the city of Glendale. 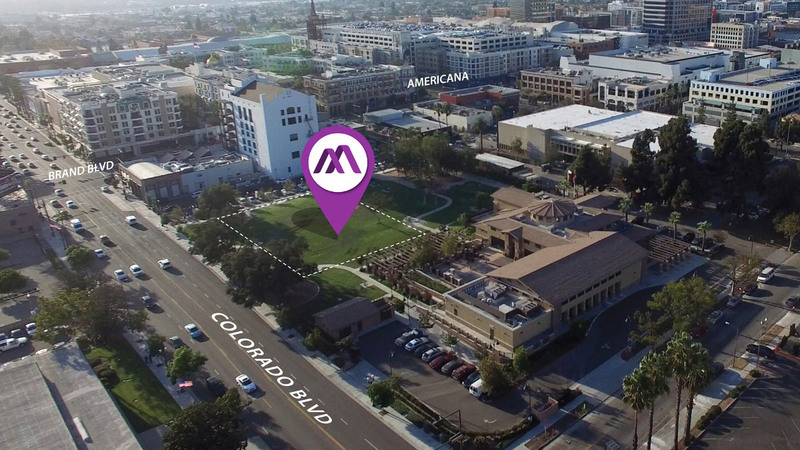 It’s a fitting touch, as the museum itself will hold exhibitions and historical research into the Armenian American experience, and because Glendale holds the greatest number of Armenian residents in the U.S. The City Council’s approval paves the way for formalizing the construction of the $30 million museum. As LA Weekly reports, a 55-year, one-dollar-a-year lease is being finalized so that the museum can build on the southwest corner of Central Park Paseo, which is currently undergoing an overhaul by the international SWA Group that will ultimately increase the amount of available green space. The AAM will have the option to renew its lease up to four times in ten-year increments. The back of the AAM’s three-story block will open up to new “Glendale Central Park,” as well as a through-block pedestrian, adult recreation center, central library, and a children’s play zone. The 40,000 to 50,000 square feet lost by the museum will be offset by the conversion of existing parking spaces in Central Park Paseo into parkland. Inside, the museum will strive to build bridges across different immigrant communities by carving out space to hold cultural displays, as well as an international demonstration kitchen. Construction is slated to begin summer 2019, with the AAM’s opening in 2022, presuming that the funding goal can be met. While the state has given the institution a $4 million grant, the rest of the $30 million will be coming from private donations.